Just after two weeks after the Global launch of Huawei P30 Pro, the company has brought its flagship device to India. Huawei P30 Pro is launched in India today at a price of at Rs. 71,990 and will be available in Breathing Crystal and Aurora colour options. It will be available with early access from April 15 exclusively on Amazon.in online and Croma stores offline. Launch offers include Huawei Watch GT worth Rs. 15,990 by paying just Rs. 2000 when you buy the Huawei P30 Pro. 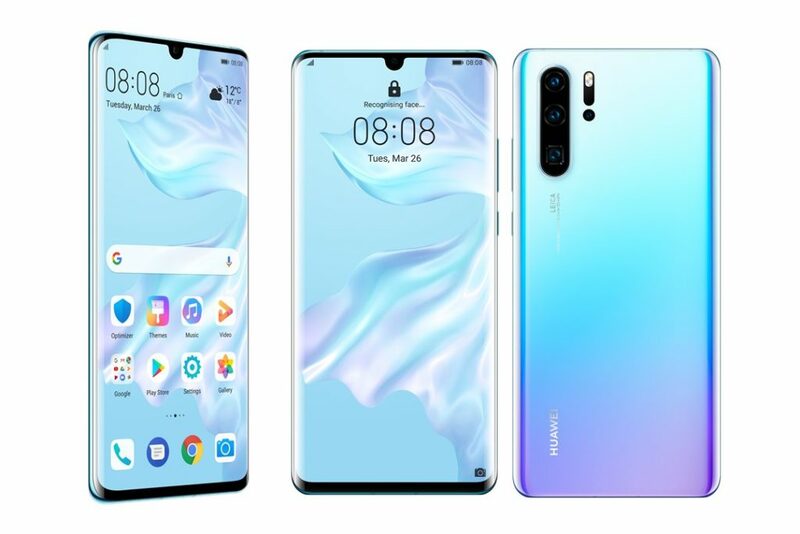 The Huawei P30 Pro and Huawei P30 have been officially announced. The devices are premium flagships with some serious photography hardware. The P30 Pro sports a 6.47-inch Super OLED Full HD+ edge to edge curved glass display with a Dewdrop notch and an on-screen Fingerprint Scanner. The phone is powered by a HiSilicon Kirin 980 processor with 8GB of RAM and will be available in 128GB/256GB/512GB storage variants. The design matches what he have seen in previous leaks. The device runs on Android 9 Pie with EMUI 9.1. The Huawei P30 Pro is equipped with 4 cameras on the back, which it touts as Leica Quad Camera. It consists of a 40MP wide angle lens with an f/1.6 aperture that supports Optical Image Stabilization, a 20MP Ultra Wide Angle lens with an f/2.2 aperture, an 8MP Telephoto lens with an f/3.4 aperture which also supports OIS and a Time of Flight (ToF) lens. The cameras support laser focus, phase focus, contrast focus, and Huawei’s AIS (Artificial Intelligence). The Huawei P30 Pro does not have a headphone jack. Instead it comes with a USB Type-C port, which you can use for audio, data transfer, and charging the phone’s 4200 mAh battery. The device supports 40W SuperCharge and 15W Wireless Quick Charge. The Huawei P30 Pro has been priced at 999 Euros (about Rs. 78,000 or $1127) for the 128GB storage variant, while the 256GB variant costs 1099 Euros (about Rs. 85,000 or $1240), and the 512GB variant will retail for 1249 Euros (about Rs. 97,000 or $1400). The Huawei P30 series will be launched in India soon, as a landing page has been published on Amazon.in.